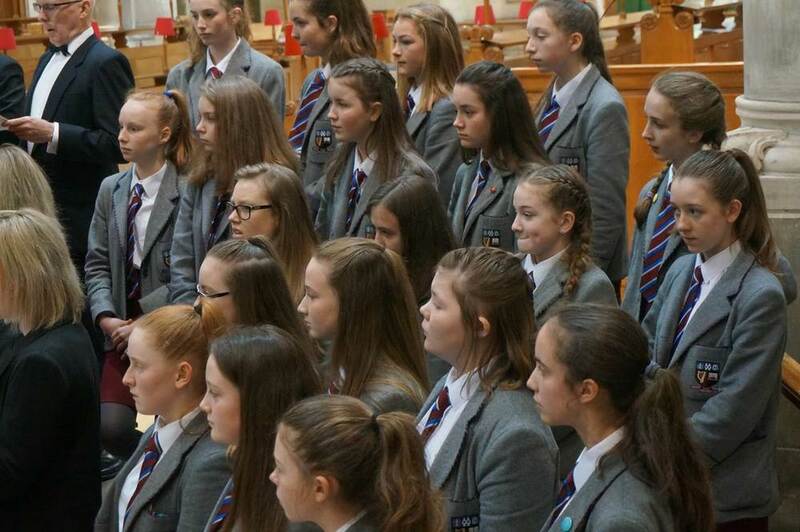 On Saturday 28th May Victoria College Junior Choir took part in a concert in honour of Her Majesty The Queen’s 90th Birthday at St Anne’s Cathedral, Belfast. 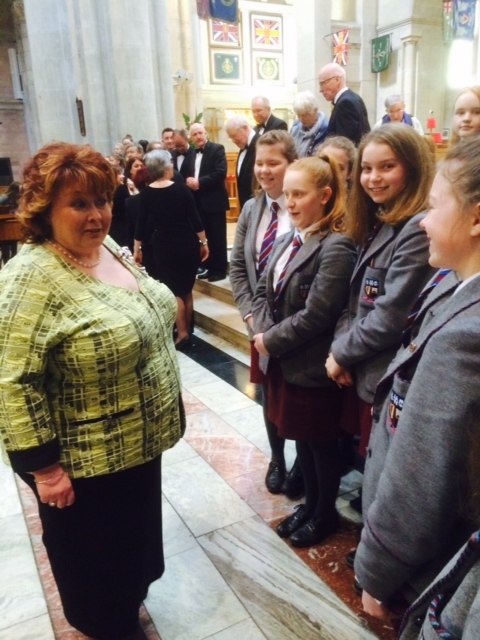 The event was attended by the Lord Lieutenant of Belfast, Mrs Fionnuala Jay-O'Boyle, who is pictured talking with Junior Choir girls after the Concert. 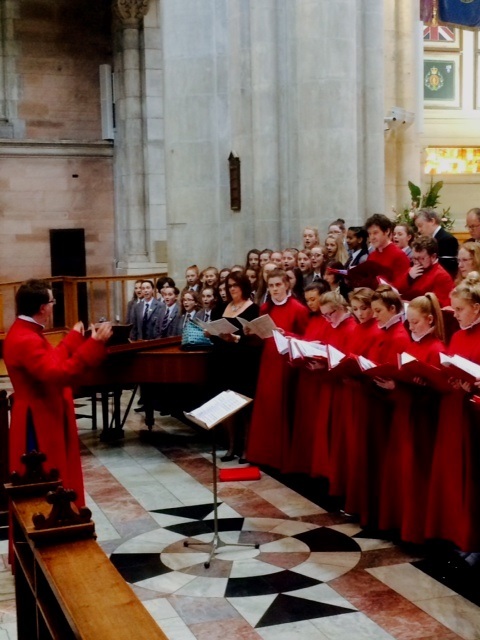 Also pictured is David Stevens, Master of the Choristers at St Anne's, conducting the final work, Parry's "I was glad", with the Cathedral Choir, the Cantate Domino Consort and the Victoria Junior Choir who sang the "Vivats”. 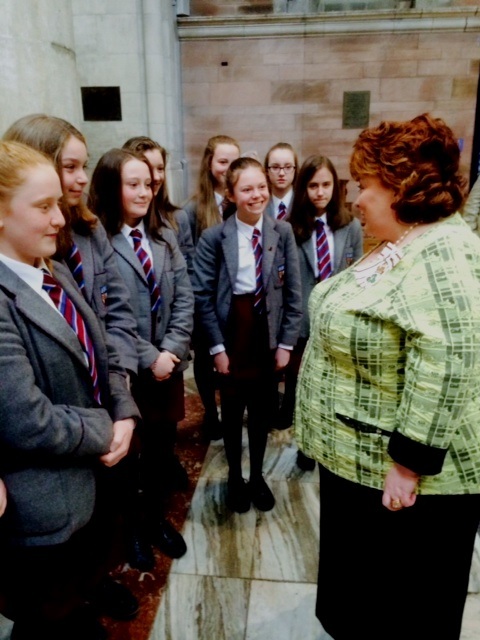 Posted on June 1, 2016 by Victoria College and filed under Experience.